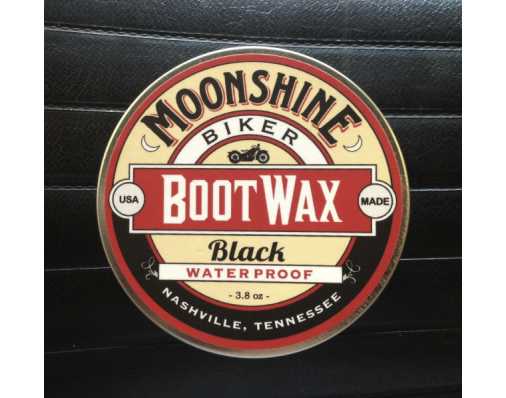 Moonshine Cowboy Boot Wax is the brainchild of two hard-working East Nashville entrepreneurs with a combined life experience of more than 100 years! When we couldn't find a product to keep our own boots shining and that was also easy on the environment, we decided to take matters into our own hands - literally - and we went to work creating a non-toxic, high quality boot wax. 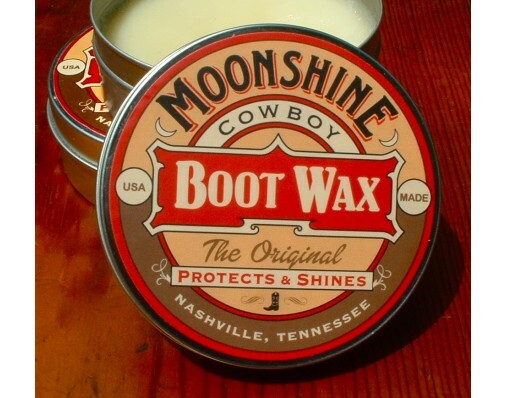 After many late nights of experimentation to get our product just right, Moonshine Cowboy Boot Wax was born! The result? A locally made, small-batch boot wax that is gentle on the environment and that gives cowboy boots the shine they deserve. Now you can protect your boots, shoes and other smooth leather goods while respecting Mother Earth at the same time! 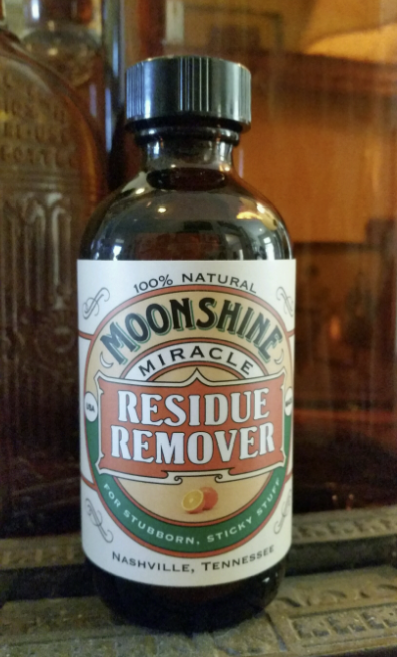 Moonshine Boot Wax is available for a fair price from a Nashville company that gives a portion of its profits to help those in need. The Nashville Wax Company is proud to partner with Community Food Advocates, a non-profit organization working to end hunger by creating a healthy, just and sustainable food system. Together with Community Food Advocates we are making a positive difference in the Nashville community - one shine at a time! 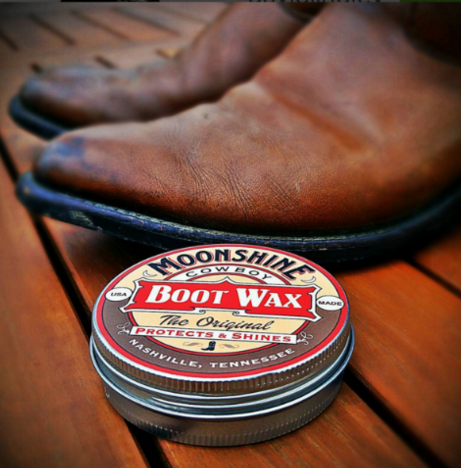 Moonshine Cowboy Boot Wax is a proprietary blend of pure American Beeswax and other natural waxes and oils. This High Quality Boot Wax is designed to nourish your boots while protecting them and giving them a brilliant shine. 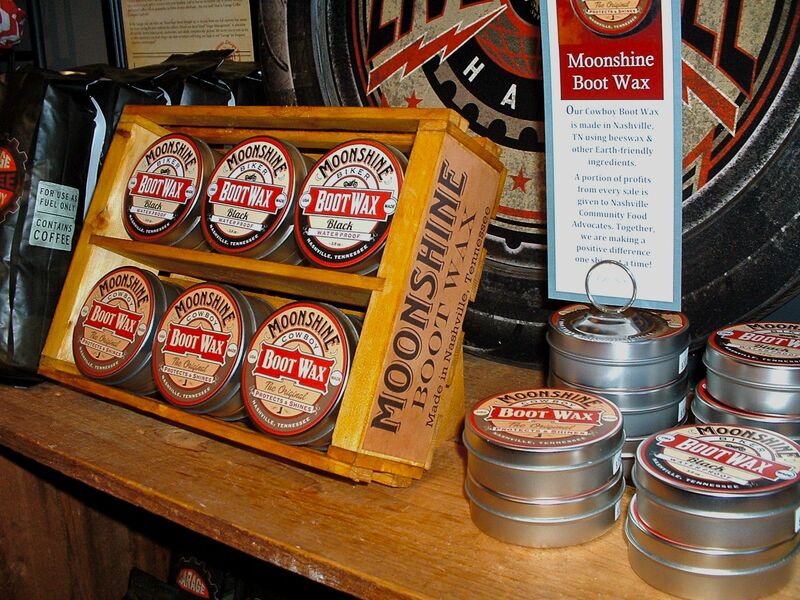 Find Moonshine Boot Wax at these fine retailers in and around Nashville... and beyond!
" 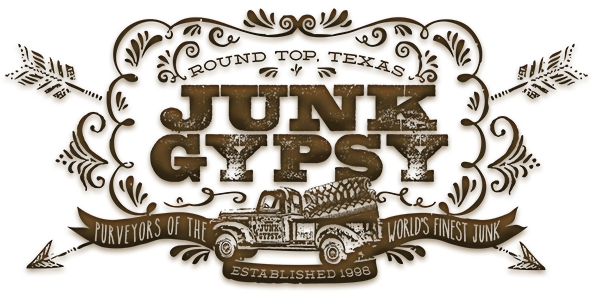 We are the JUNK GYPSY COMPANY, Purveyors of the World’s finest JuNK, bringing you goods that are everything we are - a little bit hippie, a little bit rock n’ roll, a little bit southern-fried, and a whole lot of GYpSy-fide!"